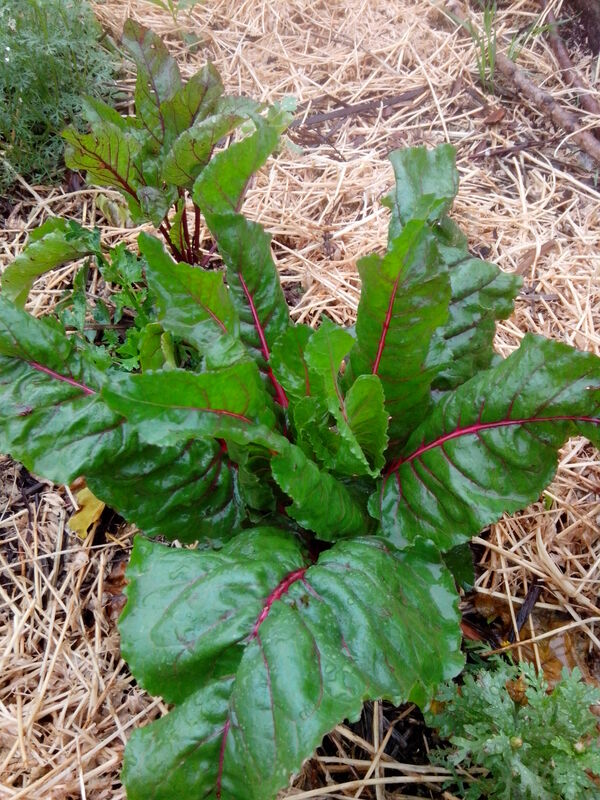 Silverbeet, or Chard, as it is sometimes called, is one of those cut and come again vegetables that keep on giving over a long period of time. It is related to Beetroot and is a native of the Mediterranean, hence why it grows so well in the temperate climate of Sydney. It also doesn’t easily go to seed over summer making it a dependable source of greens in the hotter months. 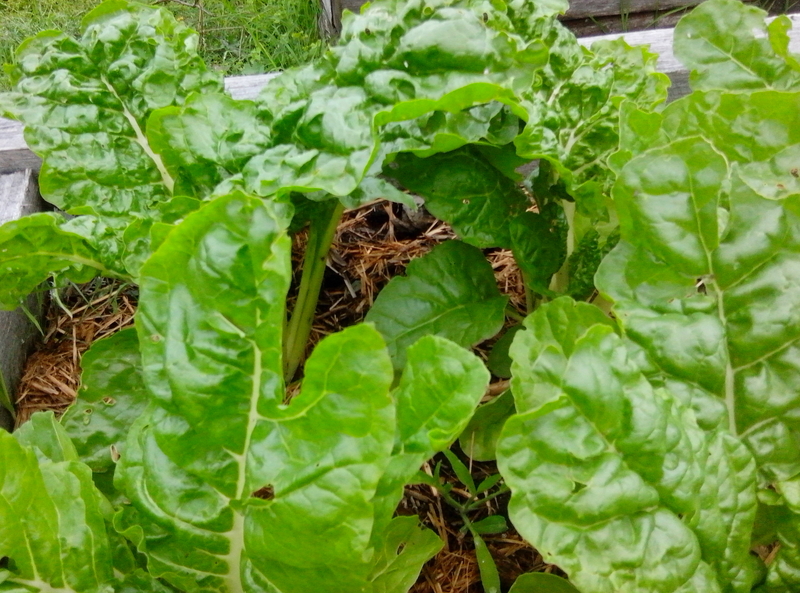 Silverbeet may be grown in full sun or partial shade and does best in a sheltered site to protect its leaves from wind damage. Seeds can be planted directly into the garden bed or into seedling trays after being soaked for a few hours. Sow seeds at a depth of 5cm. Later they will be spaced at 20-30 cm apart after thinning to the healthiest seedling when seedlings are 5 cm high. Thinning is needed because each seed pod hold 4-6 seeds that can germinate close together. Germination will take 7-10 days. For best results water the soil well at planting and keep moist until the silverbeet seedlings germinated. Over the growing season side dress with potash between the rows, working it in well and watering afterwards. This will help the development of strong stalks that will give the silverbeet a longer storage life. As silverbeet leaves are 93% water the plants need regular water to grow well, at least every 2-3 days in the summer time to prevent wilting and stress to the plant. To prevent fungal diseases it is best to water in the mornings so that, while the plant is hydrated, the leaves have a chance to dry out. It is also important to mulch around the plants to prevent weeds and to conserve the moisture in the soil. Plants will grow to maturity within 8-10 weeks and should be picked when the leaves are tender. This will be when the leaves reach a length of 30 cm. Leaves can be picked or cut as needed and if the whole plant is to be taken then it should be cut at the base with a sharp knife. The life of the silverbeet plant can be extended for long periods if teh leaf picking method of harvest is used because new leaves will continue to grow as the lower leaves are picked. Picked silverbeet leaves should be cooked close to harvesting to preserve their nutritional value and also because they wilt easily and have a short storage time of 1-2 weeks. Do not store alongside rock melons or tomatoes which give off ethylene hastening the decay of the silverbeet leaves. The leaves harvested should be large, glossy undamaged and tender with strong stalks. Silverbeet seed can remain viable for up to 4 years if stored in a cool dry place. Here are some recipes you might like to try using the tender, silverbeet leaves.